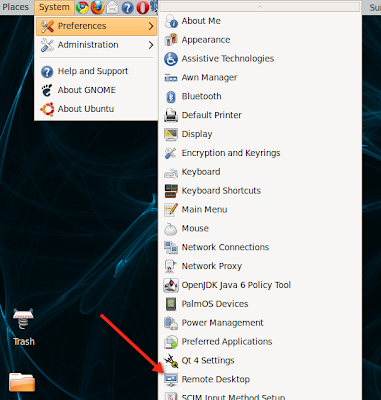 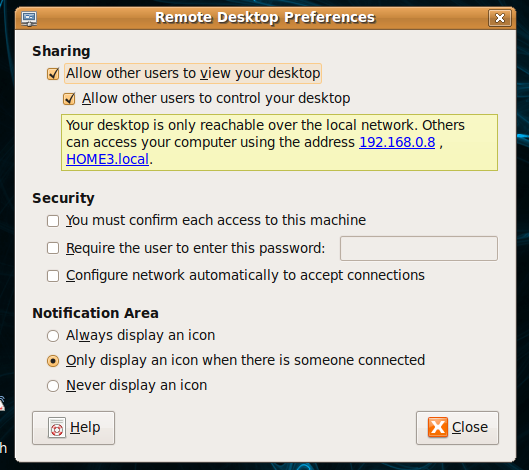 There is a good program (free) for remote connections between mac OSX and Ubuntu. 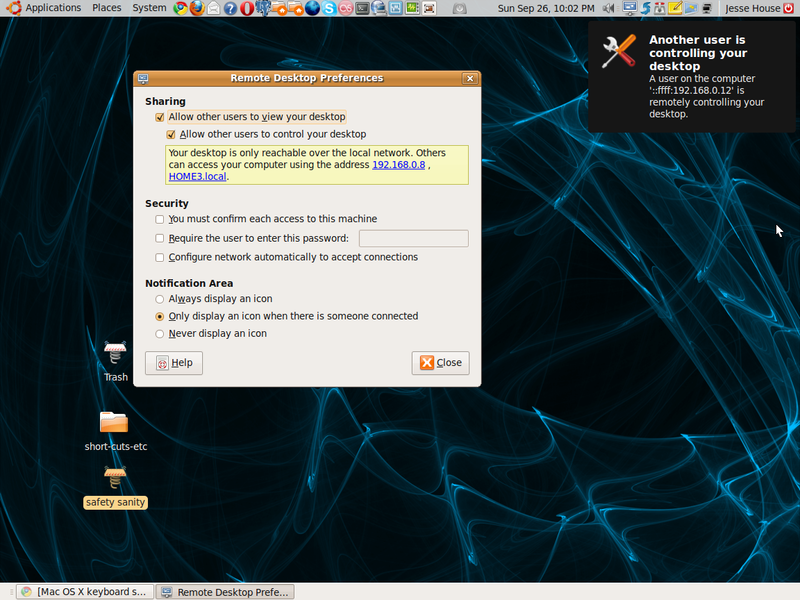 It is called Chicken of the VNC - in my case I needed to remote into an Ubuntu (9.04) desktop from my mac. 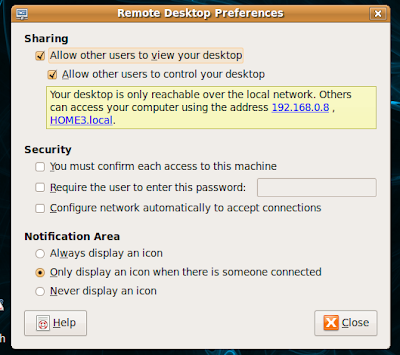 Then open the program and type in the IP address of the machine you wish to connect to. Done - you are now remoted!